This agency offers a comprehensive range of surrogacy services. With around 60 active cases at any given time, their aim is to offer a more personal service than other agencies. The services they offer include egg donor matching, surrogate matching, legal advice, budgeting advice and journey coordination. The main focus being on the quality of services they provide. The team at GRACE Llc will be on hand to recommend an IVF clinic if you haven’t chosen one yet. The agency works closely with assisted reproduction law specialists in the area. They will be able to recommend attorneys for both surrogate and IPs. GRACE Llc lists the surrogate compensation as between $35,000 to $70,000. They work with surrogates in California and neighboring Nevada. Both states have favorable surrogacy laws. Their surrogates will need to pass a set of criteria plus a telephone interview as well as a home assessment visit. During the home visit the surrogate has the opportunity to learn about the important aspects related to the surrogacy process. It also allows the agency to have a clear image about the surrogates’ lifestyle which the intended parents may find useful while matching. This agency helps to create a support network for their surrogates, which will play and important role throughout their surrogacy process. 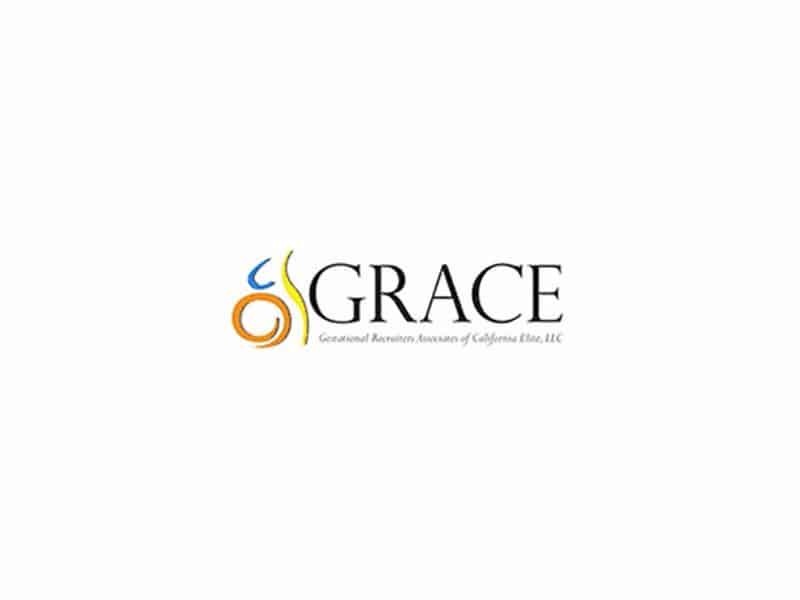 GRACE Llc was founded by Olga Diaz in order to help build families. She brings her experience working in another agency for many years. A small agency can differentiate itself from a large one by providing a warmer quality of service. Olga is a lawyer originally from Colombia. Gaelle Vincent-Regan is in charge of the marketing at GRACE Llc. She is also there to coordinate cycles and facilitate communication for French speaking intended parents.